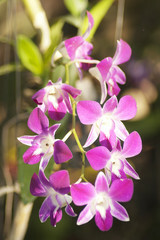 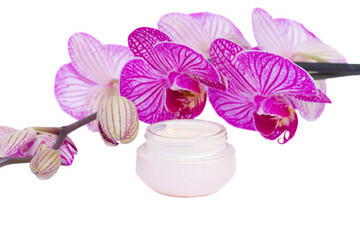 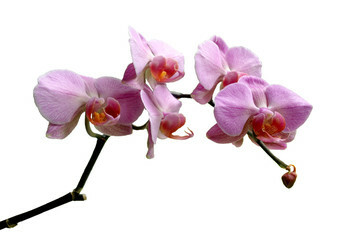 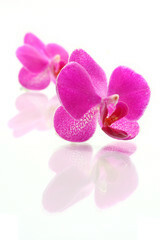 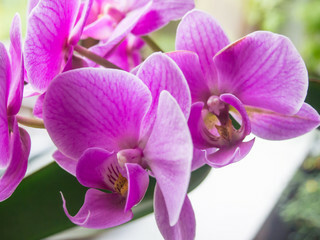 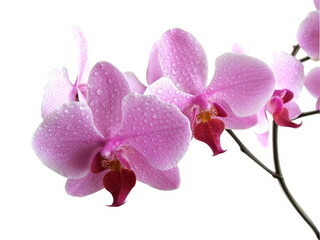 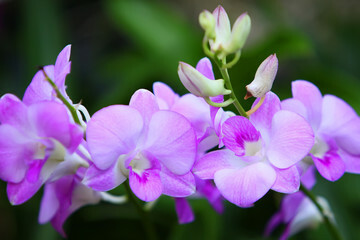 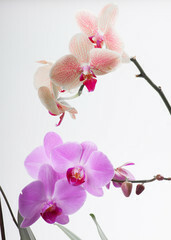 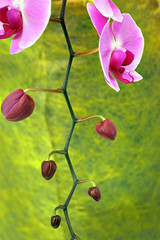 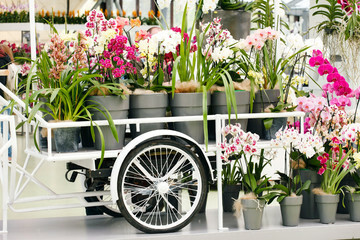 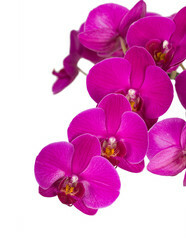 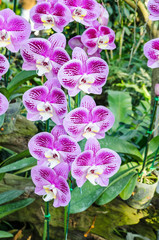 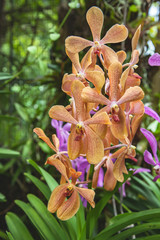 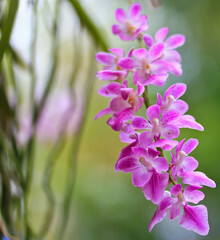 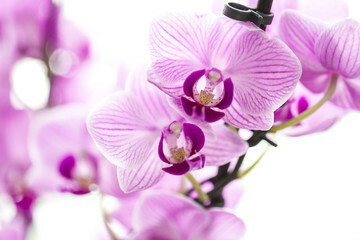 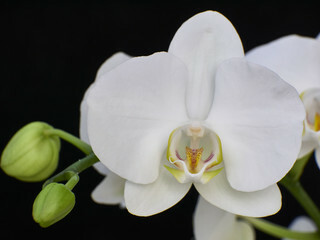 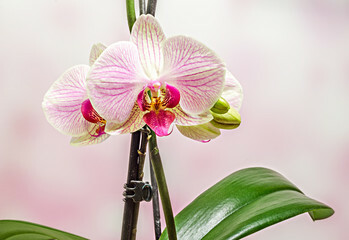 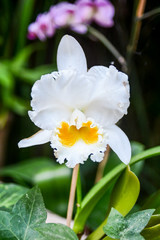 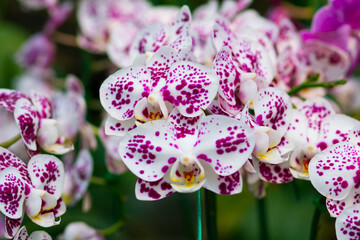 Pink orchid flower, Orchidaceae, Phalaenopsis, Moth Orchid. 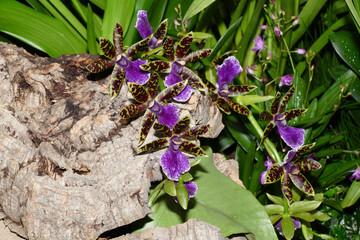 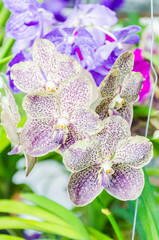 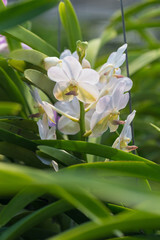 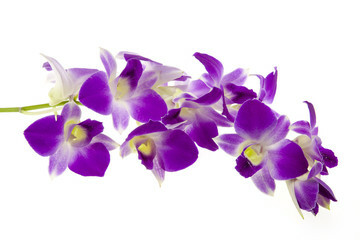 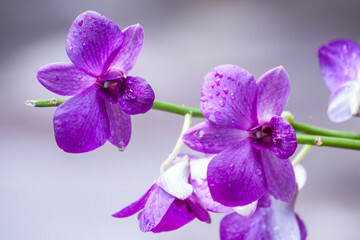 Branch of violet orchid on pastel blue background. 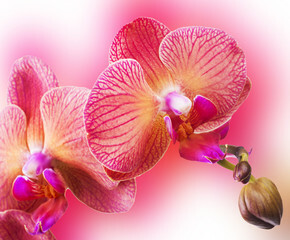 Banner with copy space. 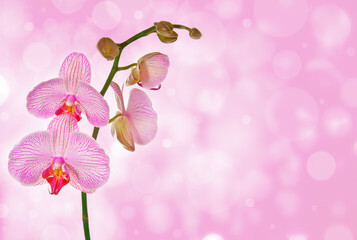 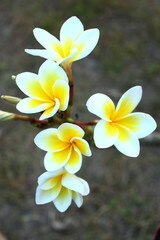 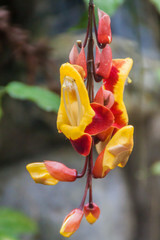 Spring, woman day concept. 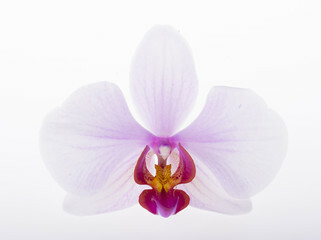 purple orchid isolated on white background.